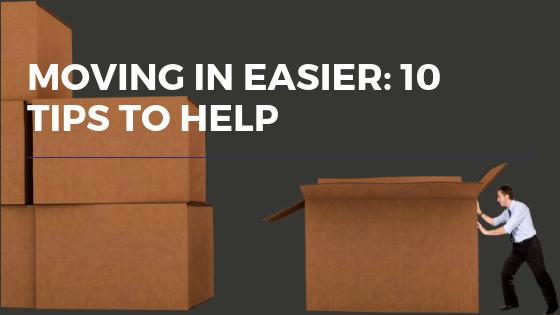 Can you make the day of moving into your new home easier? Most people have an idea that when the day comes to move into a new home they are going to be faced with everything going wrong. They are going to have professional movers in and out of the home, things are going to get broken, and the old saying that anything that can go wrong will go wrong will be true. While this may be the case for many people in the past, those who have utilized Quality Moving & Storage often find that move in day is not as bad as they have imagined. With this being said, we also have a few tips that can make your move in day even better! Are the utilities on? Be sure that you are not moving into a home that has yet to have the electricity and the water turned on. Doing so, can make your first couple of days feel as though this is the of worst mistakes that you have ever made! Be sure that the locks are working on the windows and the doors. You want your first night to be full of good sleep, not worrying about whether these locks are working. Make sure to have your essentials box with you on the first day! And make sure that the essentials box has all those items that you cannot be without the first few days of moving into a new home. Have a way to order take out on that first night. Whether this is just a pizza or burgers, having something to eat after the movers have left is going to make your day complete. After all, no one wants to cook when they first move into their new home! Put up your bed as soon as possible, and add your sheets and comforters to make this as comfortable as possible. Get the bathroom ready to use with towels, bath mats, your shower gel and the like so that you are ready to take a long relaxing shower. Take some time to clean up! For example, run a vacuum in the bedroom before getting your bed put up and disinfect the bathroom quickly. Add post it notes onto the doors of each bedroom showing movers where to put boxes. This can make the entire process much faster! Consider having your TV service ready to go or at least a way to hookup up a DVD player or watch something on a laptop. This way you can relax a bit before you get into the heavy unpacking that can take place the next day. If you have pets, make sure that you have their food and their toys to make them feel at home! Moving into a new home is always an adventure, but with these tips, your move in day can be a bit easier on everyone!